Truchard vineyards was established in 1974, when Tony and Jo Ann Truchard came to the Carneros region and purchased a 20 acre parcel of land. They transformed what was an abandoned prune orchard into a vineyard and began selling fruit to a local winery. Over the past several decades the estate vineyard has grown to over 400 acres, of which 270 are planted. Truchard Winery was established 1989 when the Truchards began making their own wine from their vineyard and today they produce 11 different wines totaling 16,000 cases. They continue to sell the majority of their grapes to other wineries. Talisman began making Pinot Noir from Truchard estate grapes in 1996. 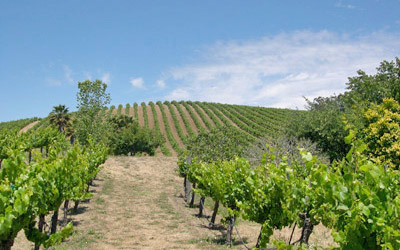 This vineyard was the foundation of our Carneros Pinot Noirs through the 2002 vintage.